Hello people! Would you like to join me in watching this movie in a relaxed mode? 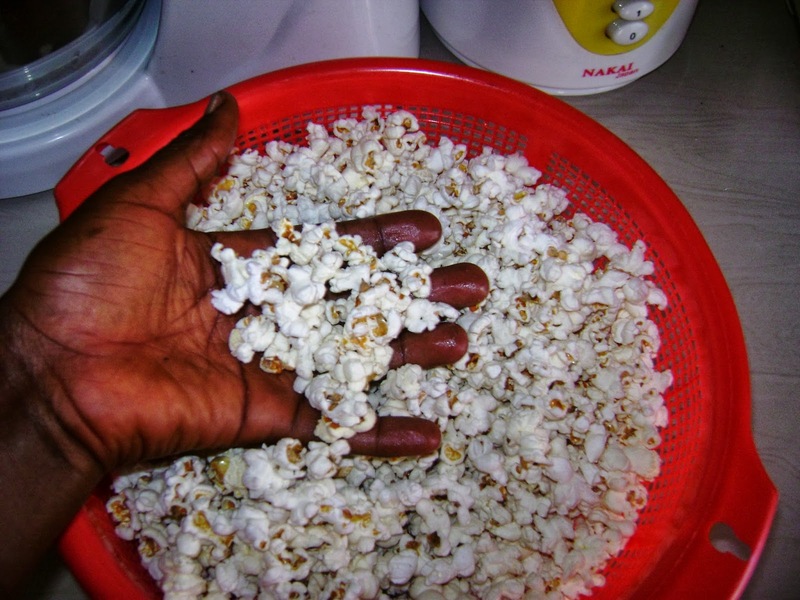 Lest I forget, my pop corn may not be enough for the both of us, so I have chosen to unleash my ‘tiny’ pop corn recipe to you. Pop Corn with salt recipe Ingredients: 1.One cup of pop corn (Tiny corn seeds) 2. A teaspoon of salt 3. 100grm of unsalted butter or A cup of vegetable oil Method: 1.Melt the butter in a hot pot or cooking pan 2.Pour in the corn seeds 3. Add salt 4. Cover the pot/pan and leave to start popping 5. Stir after each 30 secs NB: You can stir by shaking the pot because it may not be easy to open the pot while the corn is popping, to avoid kitchen accident. Also be careful so the corn does not burn. You must not wait for all the seeds to pop. The rest will pop after you put off your burner. For additional flavour, you can add ‘two drops’ of Vanilla, Milk flavour or Almond flavour after you put off your burner. This will make the flavour penetrate the popped corn seeds. Enjoy!